A delicious variation on a beloved classic. 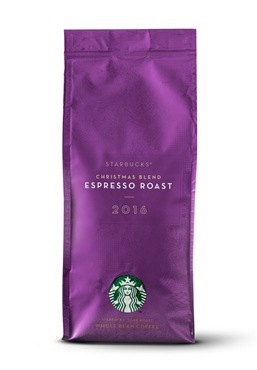 In that spirit, we present Christmas Blend Espresso Roast. It starts with many of the same coffees as in our original and much-loved Christmas Blend: fine Asia/Pacific and Latin American coffees, with a touch of aged Sumatran beans adding their magic. But then we add the twist – a darker roast that adds a sweeter bite to the mellow smoothness you knew before. Deeper, darker and totally satisfying, this is an espresso roast for the ages. A slice of gingerbread after building the most perfect snowman.